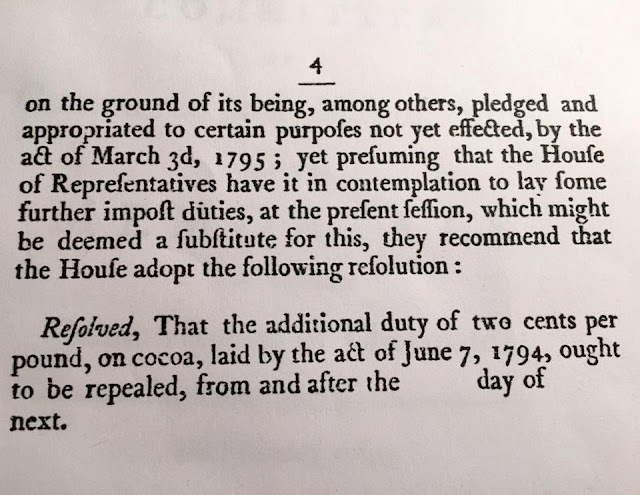 These two pieces of a House of Representatives report in 1797 concerns an additional two cents per pound duty on cacao. Then as now taxes on cacao were an important revenue for many governments. 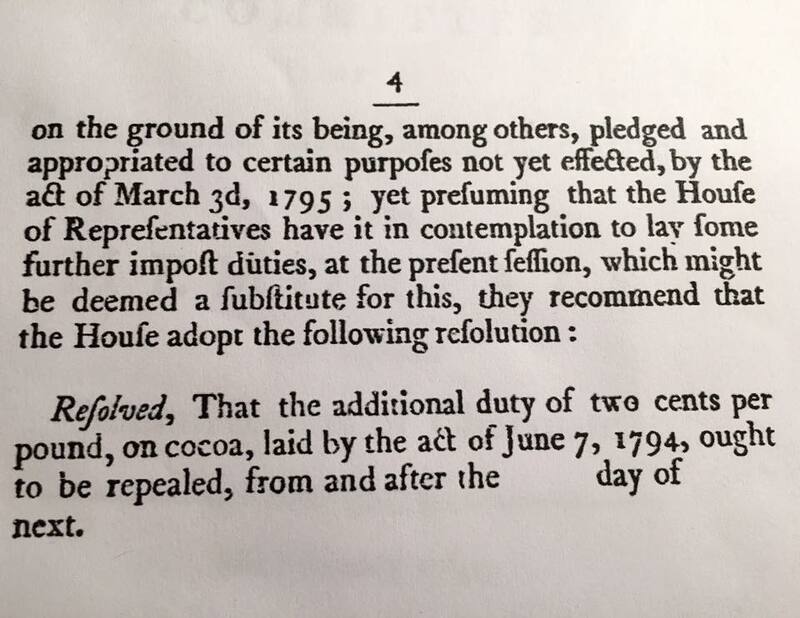 At the same time these high duties meant chocolate was not accessible to many people. 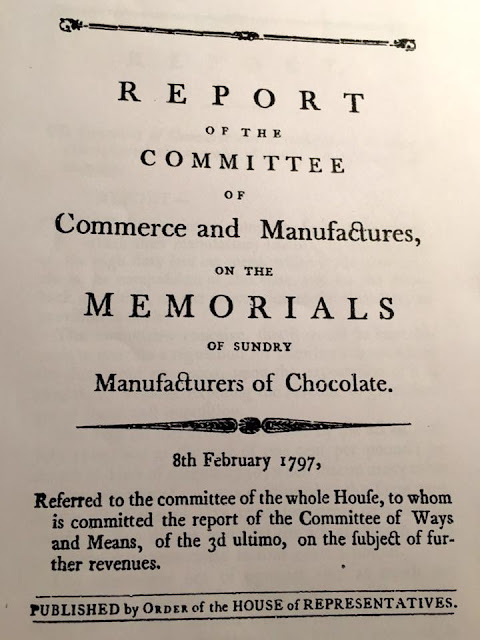 Until about 1900 in Europe, the working classes could rarely afford chocolate.